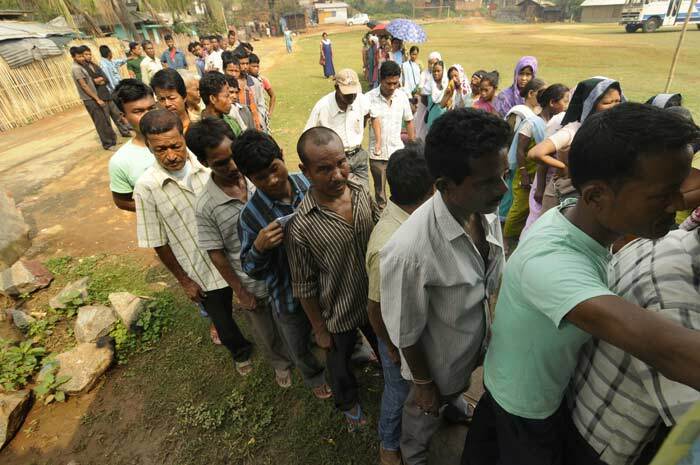 Second phase of polling on April 9 will see six constituencies of North-East go to polls. Will the high voter turnout of Phase one repeat itself? An elderly Naga woman holds up her ink-marked finger after casting her vote during the second phase of Lok Sabha election in Dimapur, in the north eastern state of Nagaland. 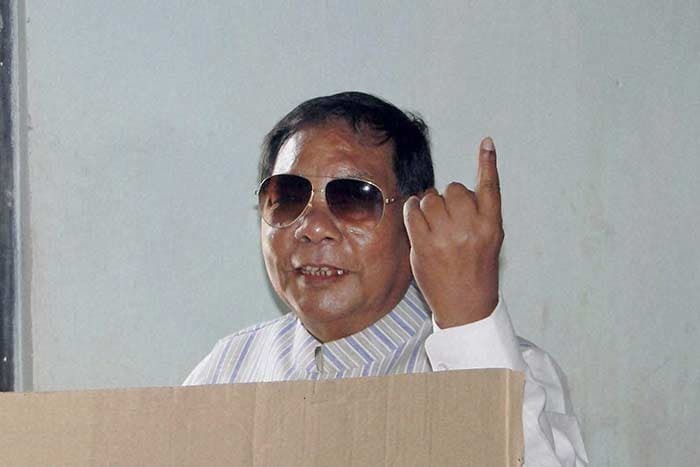 Former Speaker and National People's Party candidate P A Sangma shows her ink-marked finger while casting his vote at a polling station during the second phase of polling for Lok Sabha elections at Tura in Meghalaya. 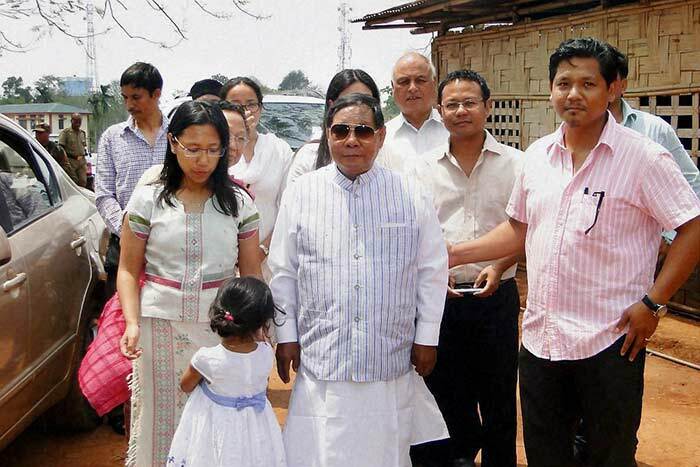 P A Sangma with daughter Agatha Sangma and other family members after casting votes at a polling station at Tura in Meghalaya. 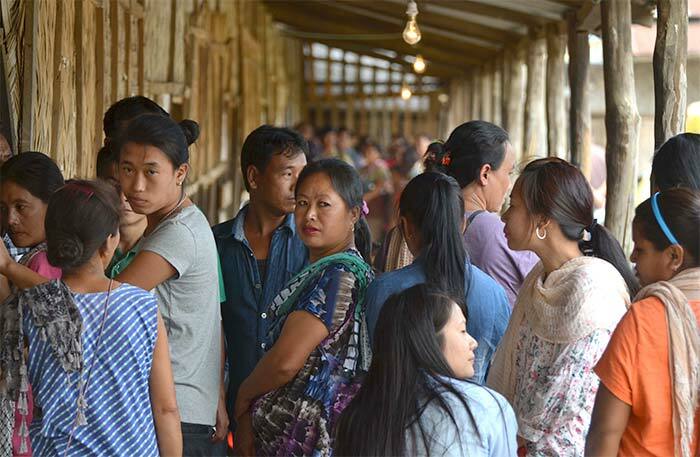 People queue up to caste their vote in a polling booth for the Lok Sabha Election 2014 at Papumpare in Arunachal Pradesh. 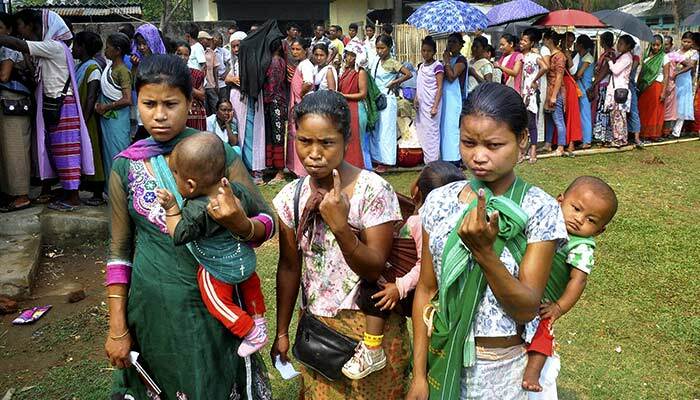 Naga voters queue to cast their vote during in Dimapur, Nagaland. 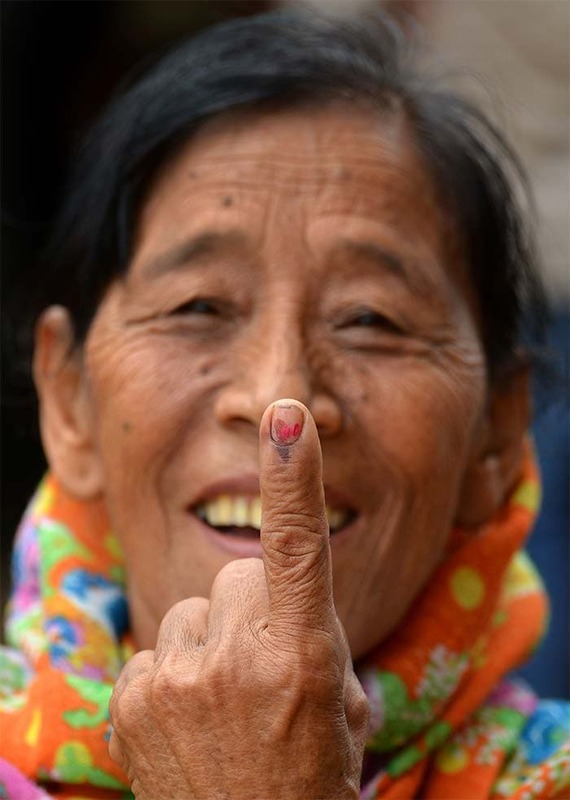 Voters show their voting mark after casting their ballot in a polling station for the Lok Sabha election in Meghalaya. 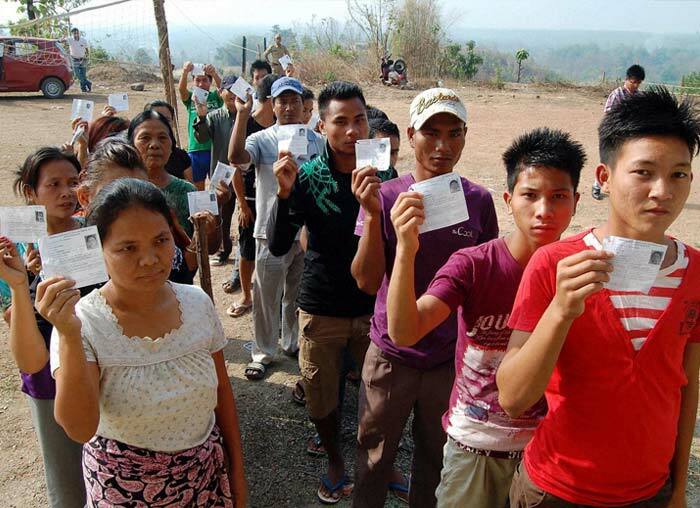 Voters stand in line to caste their vote at New Lamka in Churachandpur District. 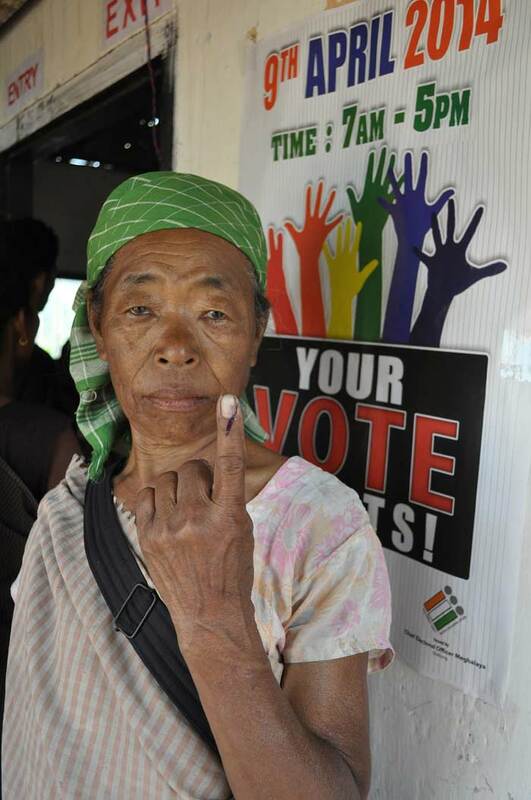 A Kashi tribeswoman displays her ink-marked finger after casting her ballot at a polling booth in Harleybagan village, in the northeastern state of Meghalaya. 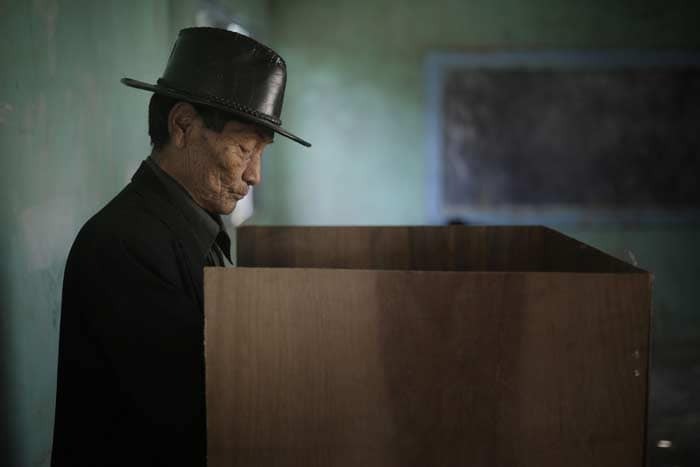 An elderly Naga man casts his vote in a voting center at Senapati, in Manipur. 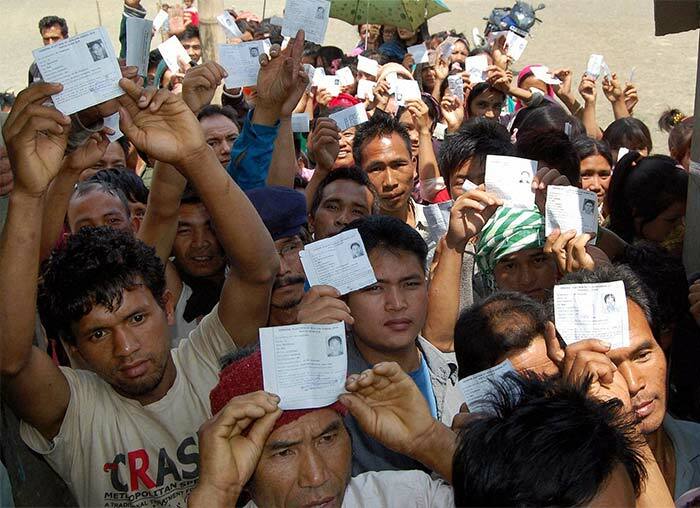 Voters queue up to caste their vote at New Lamka in Churachandpur District. 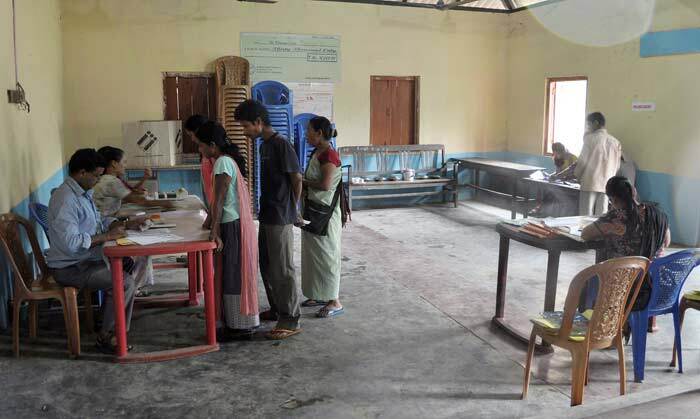 Voters are processed prior to casting their ballots at a polling station in Meghalaya. 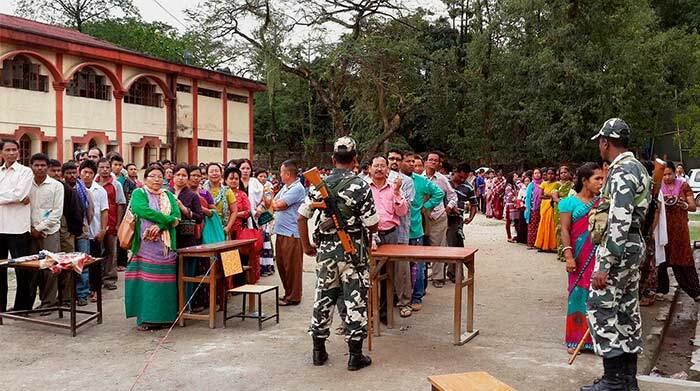 Voters stand in a queue to cast their votes at a polling station in Meghalaya. 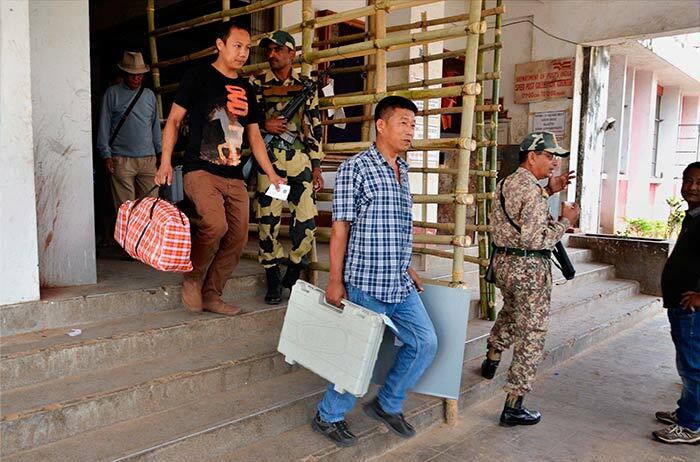 Polling officials carry Electronic Voting Machines (EVM) ahead of the Lok Sabha elections in Dimapur, Nagaland. 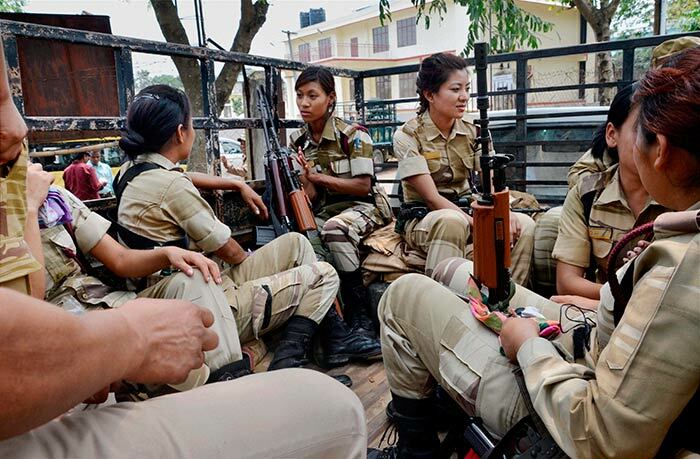 Women security personnel, on duty for elections, sitting in a truck ahead of voting in Dimapur, Nagaland. 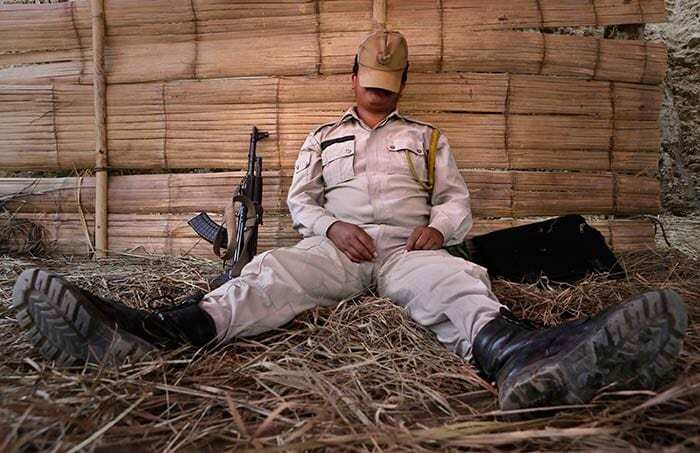 A security man rests at an electronic voting machine distribution center in Manipur. 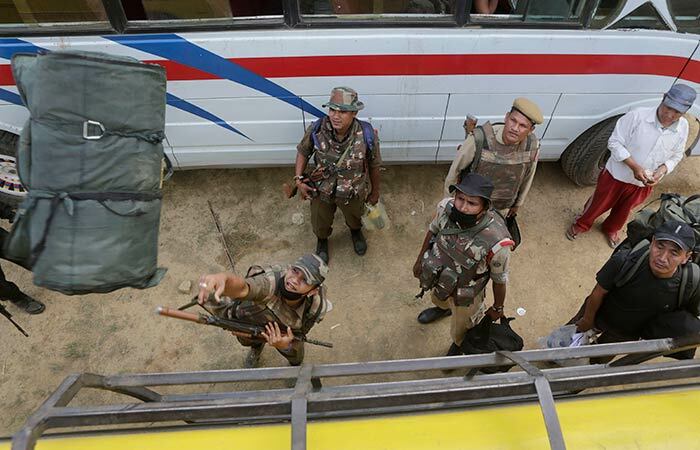 A security personnel throws his luggage to the top of a bus as they leave for various polling centers on the eve of the second phase of elections at Senapati, in Manipur. 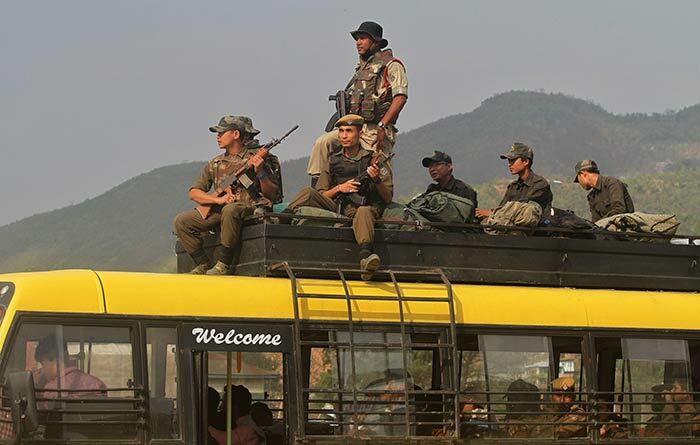 Security personnel sit atop a bus as they prepare to leave for various polling centers, in Manipur. 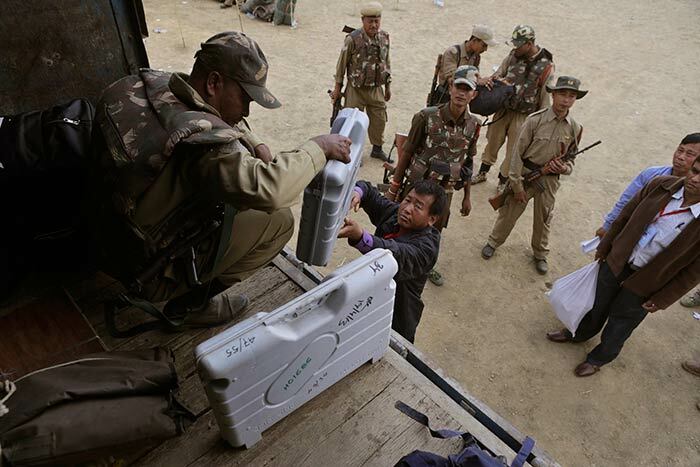 A security man collects electronic voting machines from an official before putting them inside a truck headed to a polling center. 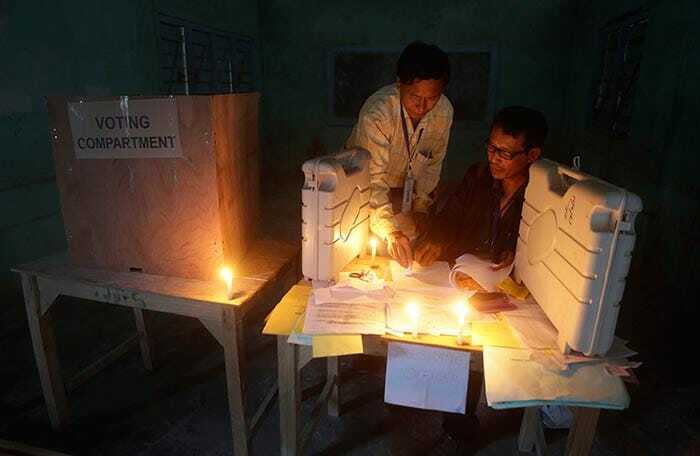 Polling officials check voting materials by candlelight next to electronic voting machines at a voting center on the eve of the second phase of polls at Senapati in Manipur.